No passport needed to visit this “Holy Land”–it’s right here in northern New Mexico! Long called the “Holy Land of America,” this land is like no other: inexplicable miracles, a weeping statue, prophecies and revelations, and rock formations that resemble scenes right out of the Bible. But holy doesn’t mean stuffy. Legends never are! Northern New Mexico is blessed with charming stories of the supernatural, incredible tales of the Wild West, and the most enchanting vistas this side of heaven! Our spiritual adventure begins in Santa Fe–Spanish for “Holy Faith”–and then wends north and makes two loops: one through the Sangre de Cristo (Blood of Christ) Mountains, the other into Red Rock Country. 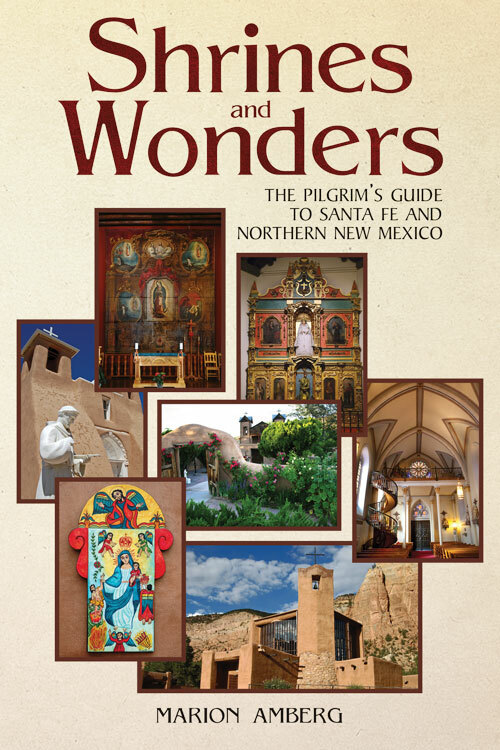 We’ll visit more than twenty-five holy sites (illustrated by seventy-five photos), including historic El Santuario de Chimayo, known as the Lourdes of America, and the stunningly beautiful Monastery of Christ in the Desert. From the author: Personalized/signed copies. Check payments accepted. For discount information, use the Contact form above.